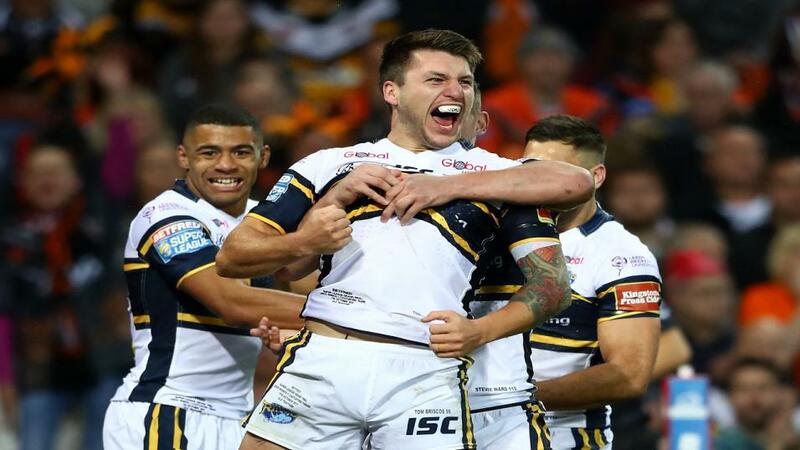 "Leeds can kick on with another two points at a ground they haven't lost at in their last six visits"
Leeds Rhinos could condemn Hull Kingston Rovers to bottom spot in Super League with victory in Thursday's televised game. Dave Furner's Leeds were recording only their second win in 2019 with last week's rare home victory over the Castleford Tigers, the clip of Furner's reactions to Brad Dwyer's golden-point drop goal likely to be replayed in video packages for years to come. Their good performance against Catalans the week before suggests they weren't winning out of turn and they can kick on with another two points at a ground they haven't lost at in their last six visits, going back to 2011. Richie Myler and Brett Ferres are absentees but triallist Wellington Albert could add some meat to their pack if allowed to play. The Robins were unable to hold on to their half-time lead against an under-strength St Helens last week, eventually succumbing to a fifth defeat in six games. They've had a bad run with injuries but the potential return of Danny McGuire against the club where he made his name will be a huge boost. Rovers will fear the sight of Tom Briscoe on the Leeds team sheet. The winger has been a menace to them over the years, his scoresheet including five tries in the 2015 Challenge Cup Final. Back him at evens to do some damage again and help the Rhinos to victory. Wigan Warriors can continue their revival as they visit Castleford in Friday's TV match. After a shocking start in 2019 the reigning Champions seem to have turned the corner following wins over Salford and Catalans. Last week's 42-0 home victory over the Challenge Cup holders was a real eye-catcher given the number of young players in their side, and they produced a tremendous all-round performance. Conversely, the wheels seem to have come off at Castleford after their impressive start. They failed to get over the line after taking Leeds to extra-time at Headingley last week and that was their third defeat in four games. Paul McShane's decision not to set a teammate up for a last-gasp drop goal then will be debated by many Tigers fans, but there is no doubt that they'll now miss the influential number 9, who begins a three-match ban for an illegal challenge earlier in that contest. The handicap-start offered to Wigan earlier in the week has been swallowed up but they are still worth backing off scratch to keep up their winning run.